It’s a good drink, a true drink, an honest drink. Okay, I’ll skip the lousy Hemingway parodies from now on, but you should be nevertheless be prepared for a bit of extra exuberance as this week’s selection is a genuine treat, which is no surprise as it’s one of many versions of a true cocktail classic. It also comes with a dandy free bottle of very good rum for yours truly. In case you out of touch with the latest in the booze world, fine rums are all the rage right now and Selvarey white rum is one tasty example. (DOTW already featured its delicious sister chocolate-infused cacao rum a couple of weeks back.) Moreover, just as Avion tequila benefited from an endorsement from the fictional movies stars of “Entourage,” Selvarey has a little bit of star appeal of its own, courtesy of the involvement of singer-songwriter Bruno Mars. Don’t think for a minute, however, that this is just a matter of so much fake alcoholic tinsel. As Oscar Levant would say, underneath the fake tinsel you’ll find the real tinsel and Selvarey is the real deal, a flavorful but straightforward and smooth white rum that’s definitely at least one or two cuts above what you’re probably used to. As good as the booze is, this week’s cocktail is even better. I’m actually pretty new to the Hemingway Daiquiri. 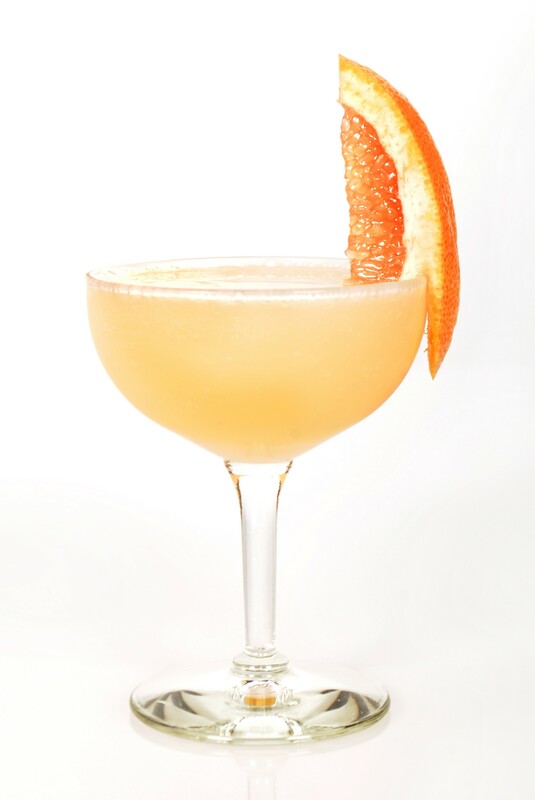 A regular daiquiri — made with fresh juice, a little sugar, and no blender — is a delight. A Hemingway daiquiri is, however, something else. I can see why the great novelist might have dug this drink when it was first made him for him by Havana bartender Constantino Ribalaigua. At least in the Selvarey version, it’s a terse rhapsody in a glass. If you’ll look online you’ll see that the basic ingredients of Hemingway Daiquiri almost never vary, but the proportions are constantly in flux. 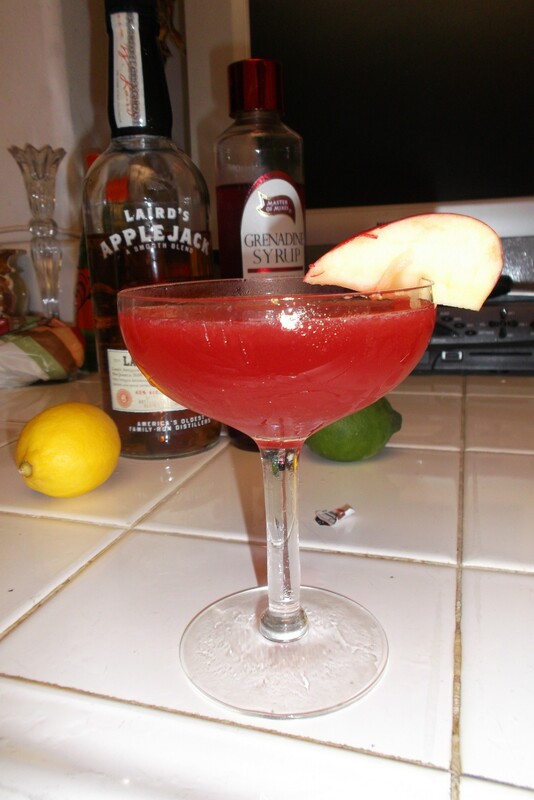 It’s a great excuse for me to revisit this drink later on so I can try messing with the proportions myself. Nevertheless, this time around I stuck with the Selvarey basic recipe, but I messed around a bit with the brand names. For starters, I was so bold as to try a couple of very well known Brand X rums — one a super-reasonably priced big name and the other a premium brand, beloved of cocktail classicists. Predictably, the latter was somewhat superior to the former, but I’m sure the Selvarey people will be delighted to hear that their rum really did produce the best result of all, smoother, more complex and flavorful. The really interesting result, though, was when I switched out the brands of maraschino liqueur…which I once again remind you is in no way to be confused with the red syrup in a bottle of supermarket maraschino cherries. Luxardo is the brand of choice these days for the wondrous very sweet, slightly bitter cherry liqueur and it works just great in a Hemingway. However, since I also have a bottle of value-priced Maraska maraschino on hand, I was duty bound to give that a whirl. 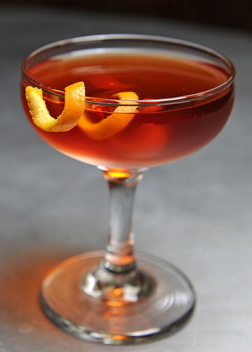 It was even nicer when I departed from Selvarey’s recipe and substituted the grapefruit slice garnist for a much better than average maraschino cherry (Tillen Farms Merry Maraschino). Though the consensus among cocktail cognoscenti appears to be strongly in favor of Luxardo, I’ll be damned if the version with Maraska wasn’t notably superior. It was already a highly refreshing, almost perfectly balanced bittersweet beverage, but now there was something more. I’d say it added a lovely, slightly sweet, indescribable sheen that took the Hemingway daiquiri to a whole new level. Not bad, considering I purchased my Maraska, which is admittedly not always easy to find, for about half as much as the $30+ you’ll usually pay for Luxardo. Life, as Hemingway might, say is full of surprises. Actually, it’s possible he’d never say that but, in this case, it would be true.